Good forecasting of conditions at sea (wind, waves, current etc.) make navigation safer and cheaper. However, such forecasts rely heavily on quality in-situ data. Every day, 2,000 VOS (merchant ships, ferries, fishing vessels, sailing yachts) around the world observe the weather at their location. Participating National Meteorological Services recruit these ships whose officers and staff are encouraged to record and transmit weather observations with loaned instruments. Data are transmitted in near real time over satellite and then made available to users around the world. The data are also archived for future use by climatologists and other scientists. The origins of the VOS Scheme date back to the 1853 Brussels Conference but became more established at the start of the 20th century when wireless telegraphy was introduced, and Port Meteorological Officers were appointed to service the ships. The size of the international VOS fleet peaked in the 1980s and 1990s but started to decline thereafter when an increasing number of ships were transferred to flags of convenience. Ships also started to operate with reduced manning levels thereby reducing the availability of officers available to make weather observations. However, while the number of ships recruited to the VOS Scheme has declined the same is not true for the number of observations being acquired. 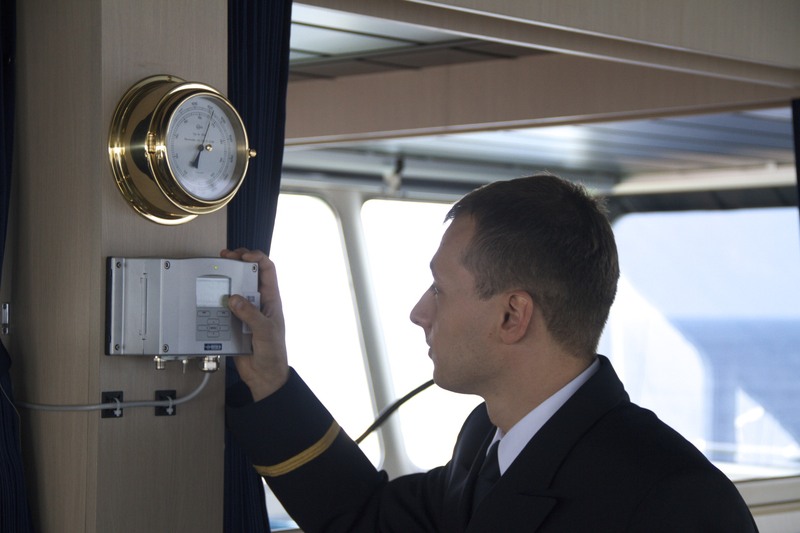 This is in part due to the increased number of now 250 Automatic Weather Stations (AWS) on observing ships which typically provide hourly data. Since 1980, SOOP has as a primary objective to fulfil the XBT upper ocean data requirements established by the international scientific and operational communities. Today, 20 agencies are involved in SOOP operations. Data from the XBT survey lines are distributed in near real-time on the Global Telecommunication System (GTS) of the World Meteorological Organization (WMO). The majority of profiles are available within 24h following automated quality control testing. From almost 60 active XBT ships (mostly container vessels) approximately 14,000 XBTs are launched every year on 36 reference lines, and 5,000 elsewhere. In a typical year, 50% of XBTs are deployed in the Pacific Ocean, 35% in the Atlantic Ocean and 15% in the Indian Ocean. Profiles from about 90% of the XBT deployments are transmitted in real-time. During the last years, the global XBT network has been used by many researchers to estimate the near-surface heat content and its variability.